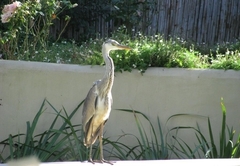 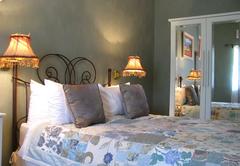 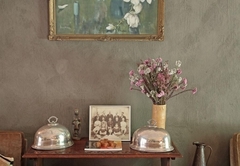 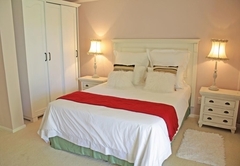 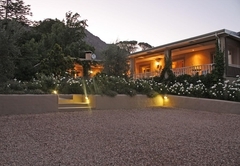 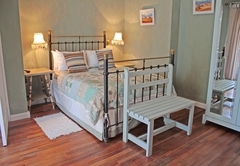 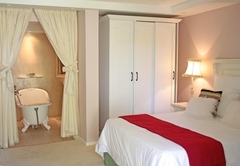 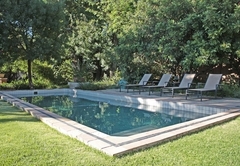 De Langenhof Guest House is a 4 star graded guest house offering Riebeek West accommodation in 6 guest rooms. 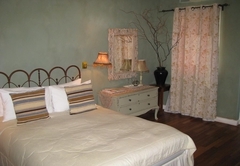 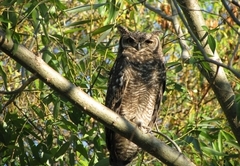 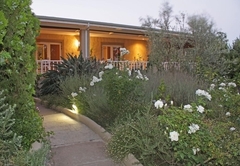 Located in the Swartland town of Riebeek West, De Langenhof Guest House offers bed and breakfast accommodation. 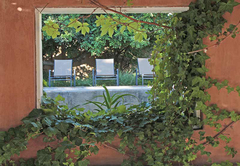 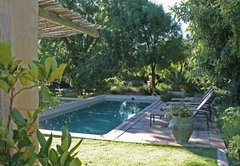 The guest house is set in a large garden with plenty of shade and a number of water features. 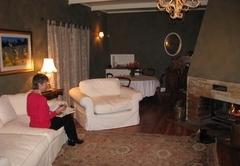 Relax in front of the fireplace on a winters day or next to the swimming pool on a sunny summers day. 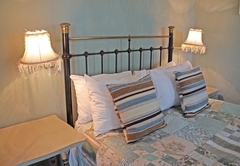 We offer four lovely double veranda rooms and two luxury garden rooms all fitted with quality linen and with en-suite bathrooms (some with baths, all with showers). 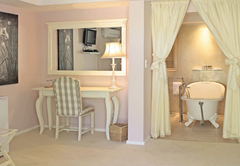 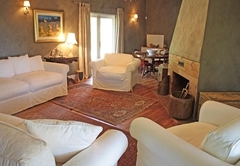 Rooms are air-conditioned and fitted with satellite TV and DVD players. 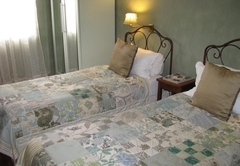 Each room has it's own private entrance and secure off-street parking is provided. 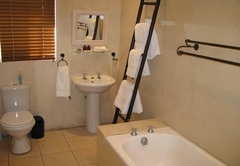 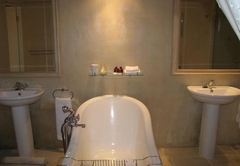 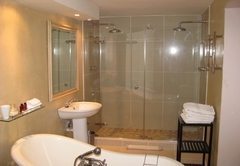 Room facilities include a safe and a hairdryer as well as free internet access. 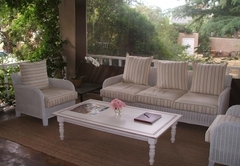 Rooms either have access to a veranda, overlooking the garden or their own garden patio with a view of the Koi pond and the formal rose garden. 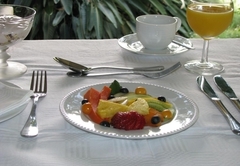 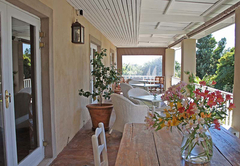 Breakfast is often served on the front veranda, overlooking the garden. 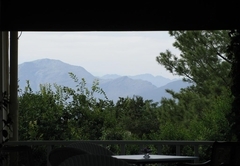 The towns of Riebeek West and Riebeek Kasteel nestle against the imposing Kasteelberg amongst vineyards and olive groves. 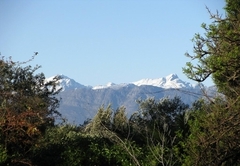 The area is known for excellent wine and award winning olives and oil. 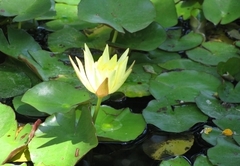 Visitors can taste these on several farms in the valley. 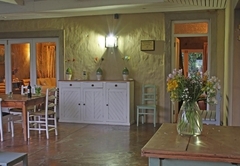 Excellent restaurants, original art from resident artists, fascinating shops and markets are a few of the local attractions on offer. 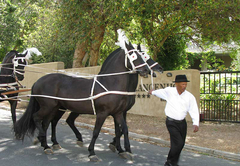 Response timeDe Langenhof Guest House typically responds to requests in 5-10 minutes.